Jack Butala: Welcome to our show today. 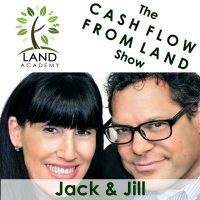 In this episode Jill and I talk about how the assessor does the pricing work for you. Before we get into it, let’s take a question posted by one of our members, on landacademy.com the online community, it’s free. Jack Butala: Yeah I can’t wait. We just do a one page kind of simple purchase agreement, where we sign it, they sign it, we spell out the terms, like they’re going to pay us via this payment method by “X” date, then all the details on the property, like the parcel number and the description. For us it works great, and I’ve never had any issues, which is very interesting. I question Michael’s overthinking a little bit because we again have never had any issues. Jack Butala: I was going to put it a little differently than that. Jill DeWit: Okay, go for it. Jack Butala: This is being grossly over thought. A purchase agreement is only … as I understand it the purchase agreement is only for the time between, when everybody signs the PA and then the deal gets closed. I don’t think anyone goes back to the purchase agreement after the transaction is completed. Let’s say something goes wrong, and we all say, “Oh my gosh you violated the purchase agreement, the terms of the purchase agreement.” No, I think, I do understand his point about taking the language out about houses. Jill DeWit: Mm-hmm (affirmative) You’re right, that’s it, that’s a good point. Michael be careful you might be putting the garbage back in. Jack Butala: Or bill of sale. Jill DeWit: Bill of sale, that’s what I mean. Just something like that for our records, showing what we paid, should we ever need it for tax purposes or something. Then we have it, so that’s kind of how we look at this and you’re right Jack and even so, these signed purchase agreements, I’m never going to call someone up and go, “You flaked, you didn’t pay, come on you promised, you signed this.” No, if they flake? Fine, I go to the next person who had wanted to purchase the property, my buyer number two. Jack Butala: Yeah, if you read our purchase agreement it’s the one that we send out in the mailer. Jack Butala: Lets say we had 25 grand that month for funds and we ran out, any reason, we can terminate the deal or extend it or anything. Jack Butala: A lot of times we don’t even use one. Jill DeWit: I know, that’s the thing, I don’t need it. If they want to buy it, I’m going to sell it and here’s your deed and we’re all good. You know what Michael I really think you’re overthinking it, you don’t need to push anybody into it, you don’t have to convince them or make them follow through. If they really back out, hey let them out. Jack Butala: I’ll cut to the chase, here’s five or six examples of when I would use an agreement and when I wouldn’t. Jill and I are doing a transaction just like this right now, guy calls back and says I have 145 properties and I want to sell them all to you for $300 a lot, $400 a lot, and so we’re all jumping up and down we high five each other and then we call the guy back and say, “We’re going to send you a purchase agreement and we’re going to do this through escrow through a release.” Now I’m going to buy the first 20 this month, next month I’m going to buy another 20 and on and on, until there’s no more left. That’s a little bit complicated and you’re going to get an escrow agent to probably do the PA for you. Jack Butala: So you need one there. Guy calls back and says, “You know, you sent me a letter on this piece of property I sold it a couple of months ago, but I do have another infill lot, it’s right smack downtown Los Angeles, probably worth a couple of million bucks, but I’ll sell it to you for $100,000.” You need a purchase agreement for that and you need an escrow agent. Guy calls and he says, “Oh I got your letter on the 40 acre property that you’d like to buy in Riverside County California, and $4,000 dollars sounds great, I’m going to sign this and send it back.” Probably don’t need a purchase agreement. Jill DeWit: Mm-hmm (affirmative) that’s enough. Jack Butala: The more money that’s at stake, and the more complicated the deal, and when I say complicated I don’t necessarily mean bad, I just mean there’s a lot more there. You might need a purchase agreement. The reason for a purchase agreement is not to have a fall back document so you can sue somebody, although if you’re from Boston, Michael, that might be your reason. Jack Butala: We’re from out west here, that’s not what it’s for, it’s just so that everybody is super clear on the terms. Whatever. We work out the terms, next thing you know the notary’s come to their house. This is all forgotten. It’s not even really needed at that point. Jack Butala: It’s all forgotten. Jill DeWit: But it was a nice formal thing, and it made them sit up and pay attention. That’s the whole reason it’s in our offers, I mean it’s a real offer. They sit up and pay attention because they’re looking at a legitimate offer that’s signed, and correct, and all spelled out in the details. And then they go do their homework and we’re real, and that was the result we wanted. 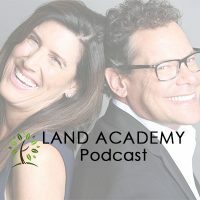 Jack Butala: If you have a question or you want to be on the show, reach out to either one of us on landinvestors.com. Today’s topic: How the assessor does the pricing work for you. This is the meat of the shell. So I came up with this topic, Jill, because about 14 or between, probably, 20 people ask me this every week. How do you price a mailer to make it really, really effective? Jack Butala: And it’s just a fantastic question. And the short answer is this: It takes a lot of time and practice the way anything does. I don’t care if you’re trying to be a better baseball player. It takes what I call saddle time. That’s what we call it when you’re trying to really learn how to race motorcycles or learn how to ride motorcycles. You need a lot of saddle time. The more saddle time you’ve completed, making tiny little mistakes along the way, the better at it you’re gonna be. So this is a part of that question. The answer to part of that question. So in every county … Jill take a little nap if you’d like. Jill DeWit: It’s a good thing I brought a book. Jack Butala: I heard that little sigh out of her. I don’t know if … I hope the mic picked it up. Just like that. Jill DeWit: When you said I could go to sleep now? Jack Butala: Yeah because I know that that happens at the end of the day. Jill DeWit: No I might have some questions, keep going. Jack Butala: So I hope you have some jokes ready to go. So you got it all ready to go, your spreadsheet, and you’re wondering about pricing. Maybe it’s because we talk about pricing all the time. Well it turns out the assessor does a lot of the work for you. The assessor’s job in life is to assess a piece of property, to basically value it for the purpose of sending next years tax bills. You can look at two houses, for the sake of argument, right next to each other. One’s all fallen down, and one’s looking really good, and they’ve got way different assessed values. The assessed value for the one that’s fallen down is way higher than the one that’s really looking nice. What the heck is that? Well here’s what happens. Things trigger the assessor. The assessor can’t possibly look at every single property in a county all the time in real time and have an accurate assessed value. So things trigger when the assessor reassesses a property, the value of a property for tax purposes. Jack Butala: Well maybe some of them are. Jill DeWit: I don’t think so. Jack Butala: So why the heck would a fallen down house be assessed at a higher value than a house that is looking pretty good? Here’s why: The one that’s fallen down re triggered a lot of stuff. Here’s what triggers an assessor: The sale of a property. That automatically causes the assessor to re look at the value of the property over the previous year. What else? Financing. Let’s say it got refinanced or a permit got pulled to put in a new kitchen. All those things that could lead to improved value triggered the assessor to look at it. So the house that’s looking pretty good, maybe they bought the property, the people who live there bought the property 50 years ago, long paid their mortgage off, redid the whole house, never pulled permits. Even legally never pulled permits, they just did work that doesn’t require it. Like interior remodeling, they didn’t move any walls, they didn’t really do any of the exterior except just keep it up. So that never triggered any type of reassessment value. We bank on that when we send our letters out. So forget about the houses now, because we’re in the land business. What ends up happening is property that’s more urban, not rural out in the sticks, more urban, it changes hands more often. Or properties in the immediate area change hands and it sets off all kinds of bells and whistles to get reassessed. So consequently there’s higher value property, hopefully accurately, higher valued property in urban areas versus rural areas. Why recreate the wheel? When you look at … You got that data set that we originally talked about, and you’re staring at it in Excel, and you’re looking at all the 40 acre properties in some county somewhere, or the 5 acre properties in some county, and there’s a wide, wide, variance between the assessed values. Some of them are a couple million bucks, some of them are literally assessed 6 or 7 or 8 hundred dollars. Well the assessor did all the work for you. The ones that are theoretically assessed at a higher value, you want to price at a higher value. Not market value. Never market value. If you want to buy property at market value, you can turn this show off right now. There’s this thing called the MLS, you can go in there and just buy property all day long. Knock yourself out. Jill DeWit: Oh yeah. Pay full price. How fun. Like the sticker on the car. You walk up, you gotta pay that sticker. That’s the price. Jack Butala: Oh yeah. In fact, they add 10% to the sticker. Jack Butala: I mean, you don’t want to upset anybody, right? Jill DeWit: No, no. Of course not. That’s what the sticker’s for, right? That’s what I thought. Jack Butala: So that’s a good … Thank you, Jill. Jack Butala: Broke this up nicely. Jack Butala: So you have to come up with some rhyme or reason about why that 2 million dollar, 5 acre property is going to get a higher value, a higher offer amount from you. And that a 5 or 6 or 8 hundred or a thousand dollar assessed value is going to get a lower offer. They come up with a scheme themselves. And they’re wildly successful. And I do calls on Wednesday with members all the time to review their data or take a look at stuff, and I am constantly, every single Wednesday, amazed at the way that our members come up with good creative ways to value property and send out offers. That’s the whole point. Jill, did I make that point clear? Jill DeWit: No, it’s great, yeah. Jack Butala: The assessor does a lot of the work. Every time this comes up Jill tries to … I’ve heard Jill explain like this in some of our live groups and on the Thursday call. McDonald’s doesn’t make a mistake when they put … They do some research about where they locate. Where they put their locations. So that Burger King, and Taco Bell, and everybody else doesn’t have to do any research. Jack Butala: They just put it in the immediate vicinity of all the research location that McDonald’s has done. Jill DeWit: Don’t try to reinvent the wheel. Just copy them, it’s fine. Jack Butala: They just copy their feasibility study. Same deal here. Just copy what the assessor says. Is it always right? No. Is it gonna get you a couple of smoking deals, a couple of smoking acquisitions for every 15 hundred to 2 thousand to 25 hundred unit mailer? Yeah. Jack Butala: That’s what this is designed to do. We’re not here to buy 50% of the mailers that we send out. Jill DeWit: We can do that on the MLS. Jack Butala: Yeah. I was just gonna say that. Here’s my analogy along those lines: If you’re a professional basketball player, and you don’t commit at least 4 fouls a game, you’re not trying hard enough. You’re not supposed to get 1 foul. Jill DeWit: Mm-hmm (affirmative). Or be perfect. Jack Butala: Yeah. Or pay sticker. Jill DeWit: Exactly. I love it. Jack Butala: Do you have a question? Or you want to be on the O’s. Oh that’s not right. Join us in another episode where Jack and Jill discuss how to use information. That’s me. Jill DeWit: We use it every day. I’m awake now. We use it every day to buy property for half of what it’s worth and sell it immediately. Jill DeWit: So good. I was gonna share with these people when we were talking about sending out offers and all that good stuff, I want to make that everybody knows that Offers to Owners is coming soon. Jack Butala: Oh good. Okay. Jill DeWit: So you need to know … If this is something you’re thinking about doing, for whatever kind of property, you just want access to this data and you want cheap mailer. Go check out offerstoowners.com and get on the mailing list for early notice. Because it’s coming. Jack Butala: And for sake of clarity, Offers to Owners is this: It’s access to Real Quest Pro, best data on the planet for exactly what we do, and then a way to get the offers that you create directly in front of the owners. And through bulk mail. Bulk mail IT style is what I call it. It’s a tech driven, no real ink on your fingers, way to get offers out. Jill DeWit: And it’s easy. Jack Butala: For less than 50 cents each. Jill DeWit: And it’s not like … You don’t even have to know how to do a mail merge. We took all that away for you to make it real easy. Jack Butala: We really did. I mean it’s cutting edge. Truly. Jill DeWit: Mm-hmm (affirmative). It is. Jack Butala: You’re never gonna find anything cheaper and better. That was a very good informative show. I’m glad that you did that. Jill DeWit: Thank you. I think a lot of people will get a lot out of that. Jack Butala: Jill, that’s very nice of you to say. Jill DeWit: No. I didn’t get to say any … No. It’s all good.